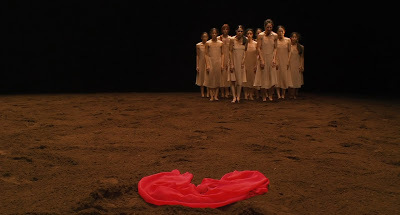 A feature-length dance film in 3D with the ensemble of the Tanztheater Wuppertal Pina Bausch, featuring the unique and inspiring art of the great German choreographer. 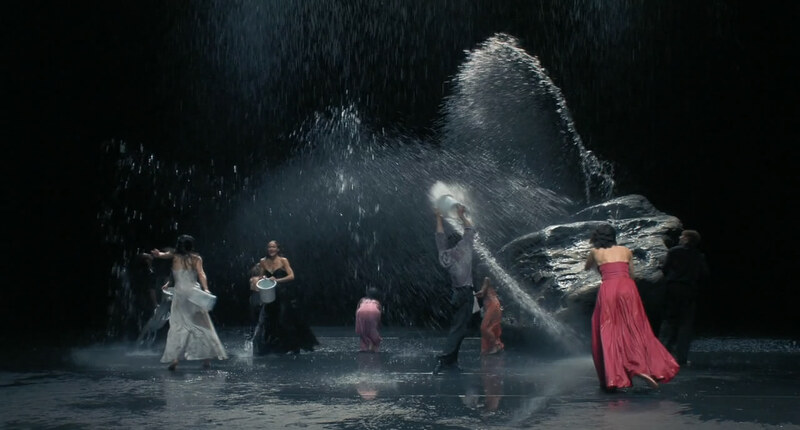 Pina is a film by German director Wim Wenders, created as a tribute to his friend the renowned dance choreographer Pina Bausch who passed away in 2009. It premiered out of competition at the 2011 Berlin International Film Festival and has been selected as Germany's official entry to the 84th Academy Awards for Best Foreign Language Film. 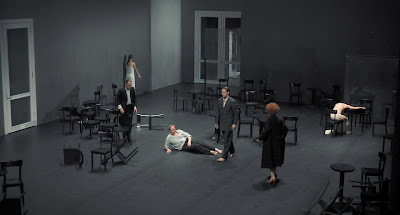 I have to admit that before seeing this, I had not seen any of Wenders' films nor had any real exposure to Pina Bausch's Tanztheater except for seeing random clips here and there, so I had no idea what to expect. What I found was an amazing spectacle of sight and sound; combining legendary choreography executed by Pina's talented dancers who passionately express every human emotion over the running time of the film; top notch cinematography making full use of the theatre stage as well as various unique locations in and around Wuppertal; and a wonderfully moving soundtrack containing a myriad of tunes old and new that perfectly enhance the stunning dance routines. 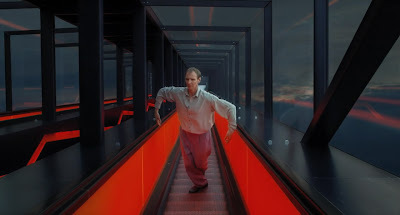 Wenders has crafted what is without a doubt one of the finest looking films of the year. It's difficult to categorize this one. 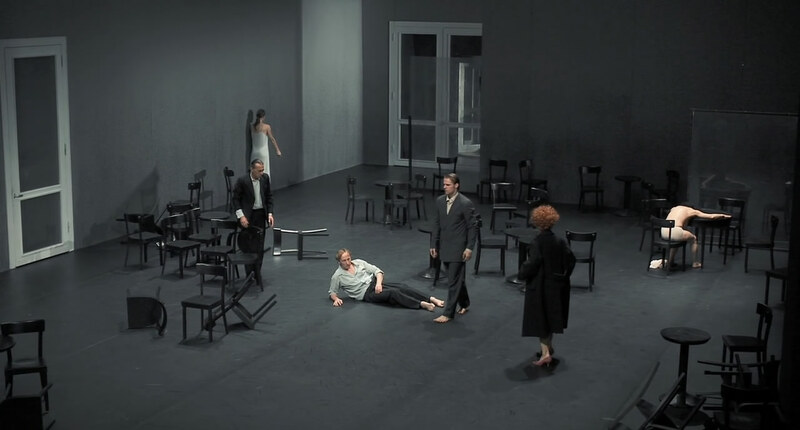 Pina is not quite a documentary, because there is no story or background given about her, and it contains no real narrative either, the film is rather simply a showcase and homage to Pina's life's work. Interspersed among the various performances is some archive footage of Pina herself, and brief closeup shots of each of the dancers who stare silently at the camera, followed by an accompanying voice over of them telling a small anecdote or memory of Pina. Anyone who is a fan of dance, of music, or of incredible camera work should seek out this exhilarating film. 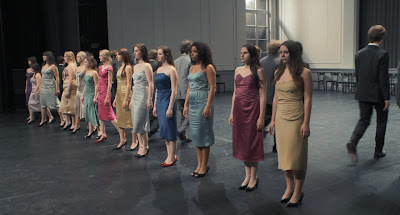 I don't know how much of a chance it has with the Academy voters, but it really is a remarkable visual achievement, and a beautiful celebration and fitting tribute to Bausch. It's also got me interested in finally seeing more of Wender's work. Great review. 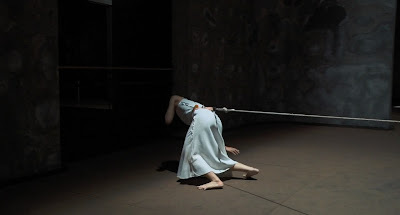 You're the third person I've read comment on the amazing camerawork, and the idea of a film focused on dance, rather than narrative, sounds quite interesting. If it does make it into the list of nominees, I'm thinking that it would be really interesting if they included some of the dancers in the Oscar show itself. Although I guess that might be seen as showing favoritism. Still, this is one that I could see myself going to see in theaters, if I can find any artists to go with me! It looks like Pina may be competing in both the foreign language and documentary races! Two for one! Wow your first Wenders film! 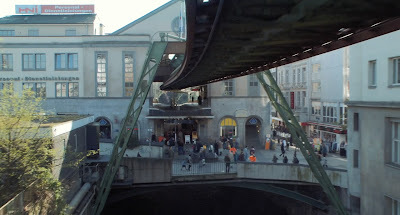 You,ll need to do a German New Wave feature sometime soon BT! Wenders, Herzog, and Fassbinder! Wenders masterwork includes many Road movie classics and many great films too (Wings of Desire, The American Friend, Paris Texas, Alice In the Cities, and more)! I like it but in smaller doses maybe. Interesting although I probably won't be seeing it!! Cinemanila's showing this. Just won free tickets to see it. Looking forward! I didn't watch it in 3D, but I think it would work well in this case because it is used not for gimmicky special effects but to enhance everything, I just might have to try it out eventually for comparison. I've heard a lot about those two films, I'm going to watch them soon. I have a problem with 3D because it always gives me a headache, I watched this in 2D and I think the human brain is capable of converting 2D to 3D in your mind just as well as a pair of dark glasses can, Wender's uses layers wonderfully here and although they don't pop out at you in 2D, it is still visually astonishing. I hope so too. Thanks Aziza! I was a bit hesitant at first too because I'm not fond of musicals or dance numbers, but the amazing visuals and sound had me hooked right away. I have to say, I probably wouldn't go see one of Bauch's performances live. But the way this is edited, and the way the camera fluidly interacts with the dancers really gives a cinematic perspective that makes me able to appreciate the choreography that I perhaps wouldn't be able to from a fixed viewpoint. Yeah Germany is a fairly big hole in my film knowledge, that I plan on correcting soon. I've seen almost all of Herzog's work but none of Fassbinder or Wenders except for this. Wow. I didn't know Tribute was a genre. Haha, I made it up because the traditional genres don't fit. It's not a documentary, nor is it really a musical either. I'm going to love this. I wonder if I'll have it in theaters here.. or am I too late? It'd be wonderful to watch it on the big screen. 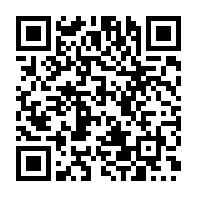 Research time! I really wanted to see this. I'm a fan of Wim Wenders (Paris,Texas and Wings of Desire), so this looked interesting. I believe he intended for it to be seen in 3D, so I may never see it the way he originally intended it. I got to see this at the NYFF. I am usually not a fan of 3D (it destroys any cinematographic merit to a film) but it works so well with Pina's dance numbers. Quite enjoyable film indeed. And we also got to wear $100-a-piece, state of the art cybernetic 3D glasses at the screening. Sadly, no. I don't think it was ever in theaters here. I did notice that the dates it has been released have spanned a few months, so maybe in a few more it'll make a US release or something. If I can find it before then, I'll watch it anyway. After a few months of planning, I finally saw this one. 2D and beautiful. I have to wonder what it would've been like in 3D with the subtle differences, but I'm pleased with this amazing experience regardless. Anyway, thank you. Had it not been for this post I wouldn't have even heard of it. I also wouldn't have gone through local film festivals and frustrated myself when I couldn't get a ticket, but it was worth it. I appreciate your efforts here!